Cole’s Coaches are a local family-owned and operated Bus Hire Company. Cole’s Coaches started back in Mortlake in 1972 with 4 school buses. 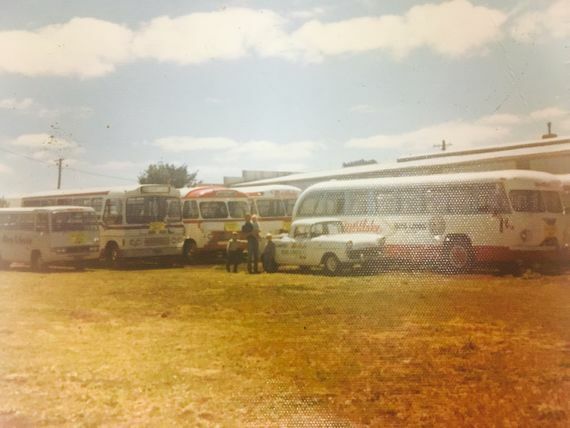 45 years later the company remains a family-owned business (second generation) and transport people all over Australia. The offices and depots are located in a number of areas across western Victoria from Geelong to Port Fairy and from Warrnambool to Mortlake in the north. Cole’s Coaches have more than 32 school buses across the region plus charter coaches and minibuses available for hire. What sets Cole’s Coaches apart is that they are a relatively small operator in the marketplace. The owner/managers work ‘on the floor’ with their staff and are regularly in contact with their customers. With excellent staff with the right attitude, a new booking system making it easier for clients to understand the information, a strong safety culture within the organisation, upgraded fleet of buses with the latest features, we are more than ready to service your Organisation or School.